your desk in the office, having visited a city but not seen any attractions or culture. business trips to explore and enjoy the city they are visiting – it was a real eye opener for businesses and it has since become clear that bleisure trips will continue to grow. job. The flip side is leisure travellers continue to work while on holiday (when was the last time you left your work mobile at home while on holiday). Franc Jeffrey from EQ Travel Management commented “We find that when a business trip is extended with family or friends, the burden of travel is lessened and can make employees more willing to travel in the first place. We also have clients advising us that bleisure trips can be advantageous to the company as a whole, with staff gaining better knowledge of a city and its culture being good for business. 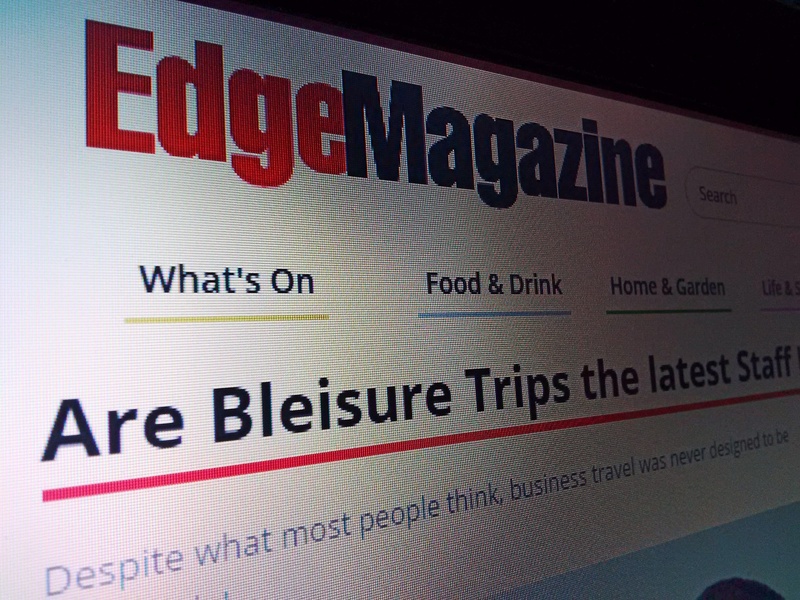 With all this in mind, it’s evident that bleisure travel is very much becoming part of the business travel world, but how is it managed? Many SME’s corporate travel policies don’t allow for grey areas such as bleisure. The biggest questions are – who pays for the extra nights’ hotel accommodation and the flights home? you run into the danger of a member of staff feeling aggrieved that their bleisure trip isn’t paid for while another member of staff is. Sunday afternoon they these flights are cheaper, most businesses are happy to offset this cost on the extra hotel nights’ hotel accommodation cost. Businesses also finding that airmiles and hotel loyalty schemes are playing their part in bleisure travel as travellers use airmiles or points to fly their partner to join then or extend their hotel stay. more productive, which of course helps the bottom line.